STUNNING GEORGIAN STYLE CUSTOM HOME DESIGNED BY ARCHITECH JIM PHELPS FOR THE CURRENT OWNERS. TRADITIONAL STYLE, HOWEVER THE PLAN IS OPEN AND FLEXIBLE TO ACCOMODATE MANY DIFFERENT FAMILY NEEDS. HARDWOODS ON ENTIRE MAIN LEVEL, UPSTAIRS HALL & STUDY. CIRCULAR CUSTOM STAIRCASE WITH HARDWOOD TREADS & DETAILED DOME CEILING. FEATURES THAT WILL WIN YOUR CLIENTS’ HEARTS; WOOD BARREL CEILING IN FOYER W/ ACCENT LIGHTING, ROOMS WITH COFFERED, WOOD BEAMED OR LIGHTED TREY CEILINGS, FOUR FIREPLACES, REAR STAIRCASE WITH IRON BALLISTRADES, LARGE BEDROOMS AND EVERY CLOSET IS A WALK-IN, INTEGRATED SOUND SYSTEM, GOURMET KITCHEN WITH LARGE ISLAND, WINE COOLER, CUSTOM WINE RACKS, BUTLERS PANTRY WITH 2ND DISHWASHER, SINK, PREP AREA, CUSTOM SHELVING & SPACE FOR ADDITIONAL FRIDGE. 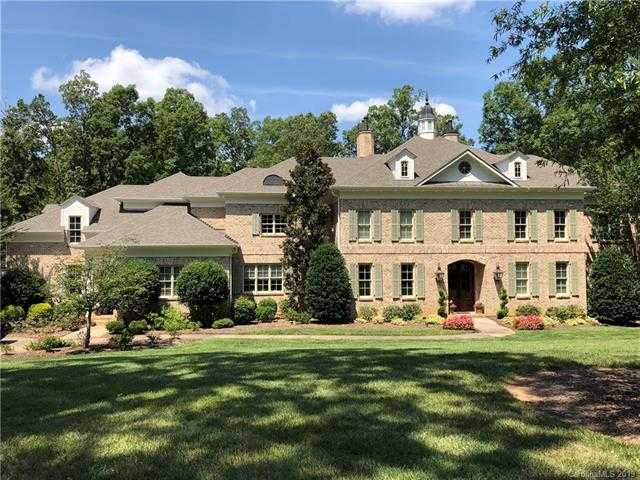 EXTERIOR FEATURES: COVERED PORCH W/ FULL MASONRY FIREPLACE OVERLOOKING HEATED POOL & SPA, ADJOINING 375 SQFT GUEST/POOL HOUSE W/ BEDROOM, FULL BATH & KITCHENETTE ALL ON A PROFESSONALLY LANDSCAPED 1.5 ACRE LOT WITH IRRIGATION WELL.